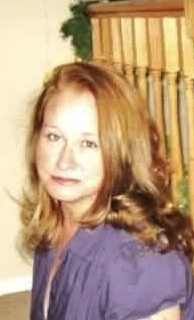 Connie Daniel Hutchins, age 52, of 142 Layne Clayton Road, Hurdle Mills, NC, passed away on November 23, 2018. Ms. Hutchins was born on August 10, 1966, in Danville, VA, a daughter of the late David Michael Daniel and Linda Kay Durham who survives. She was employed in the dry cleaning industry and she grew up in Community Baptist Church in Yanceyville, NC. In addition to her mother, she is survived by her children, Brianna L. Massingale, Megan L. Warren and Dustin R. Warren; grandchildren, Christopher Massingale, Jr., Reagan Massingale, Peyton L. Hopper and Paisley M. Hopper; sister, Kelly Langford; nephews, Josh Routh and Rich Routh; and a niece, Bailey Routh. In addition to her father, she was predeceased by her maternal grandparents, Dewey and Lucille Durham. Funeral services will be conducted Wednesday, November 28, 2018 at 2 PM at Community Baptist Church in Yanceyville, NC with Pastor Michael Adams and Jimmy P. Barts officiating. Visitation will be held one hour prior to the service. At other times the family will be at the home of her daughter Brianna L. Massingale, 331 Seamster Rd., Providence, NC 27315. Interment will follow in the church cemetery. Swicegood Funeral Service is respectfully serving the Connie Daniel Hutchins family.